This can be easily made from junk-box parts (provided that a crystal is handy). Copied your osc. circuit. Colpitts. I intend to use it in a receiver 455 Khz BFO and hopefully make the crystal series capacitor variable to “pull” the frequency through part of the audio range. Should be more stable than the standard L-C layout. So could I plug the 50mV output of this into an op amp and amplify it? What may be a good amplifier to do that with? i m having some problem in producing a 1mhz oscillator, if i use the circuit that provided here, can i manage to make it?.. and, i have no idea about it, and in an absolutely troubled situation.. thank you.. This schematic is not universal for broad frequency range because it`s purpose is for the natural frequency of the crystal.It can be pulled down only with frequency dividers and also needs precise calculation for different crystals. 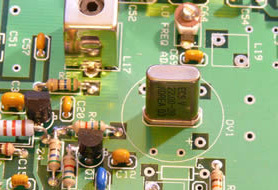 @almat – just substitute a parallel coil and cap for the crystal and you will have a variable frequency oscillator. Can the frequency be doubled? I understand this is for the natural frequency. I want to use the second harmonic of 3.579MHz crystal to build a 7MHz frequency source to test my other circuit. Any ideas on how to do that? since the q factor of the crystal is very high, the circuit tuned for boosting the natural oscillations of the crystal can not be used for second harmonic of the crystal. May be some other frequency multiplying techniques will work. Also, if you see the frequency expression of the crystal, a large variation in the load will result in the frequency deviation of several tens of PPM. 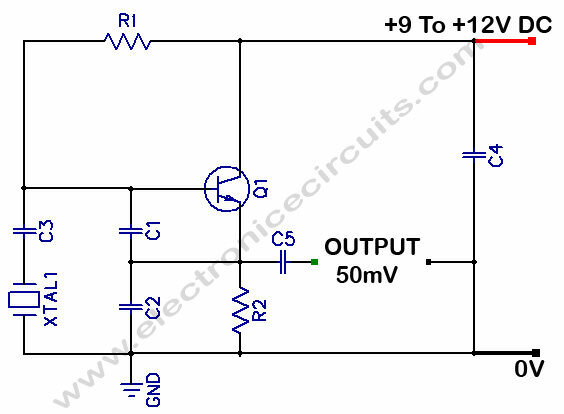 Thus, this circuit will not help you to get the multiples of the resonant frequency of the crystal. Thanks to my father who informed me concerning this weblog, this webpage is in fact awesome. 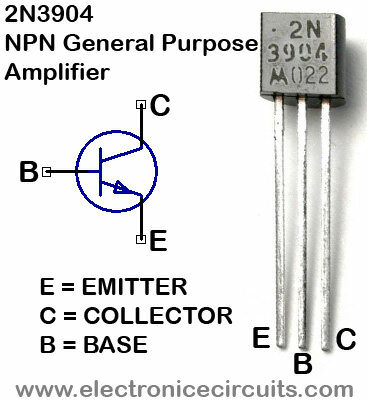 Is it important to use 2N3904 transistor? I’ve build this circuit with BC547 and looks like it works OK, but I don’t know if it could be better. why’d we use that value of capacitors? do you have any calculation or something? I found it better to remove C2, and make C1=1nF, C3=10nF, and C5=100pF, all other being the same. Thanks for the circuit. C2 seemed to double my frequency (though with smaller amplitude of 50mv. Removing V2 left my Vamp the same as my Vdc, and the frequency matched my crystal’s frequency. Replace C3 with a variable cap or preset to enable adjustment of the XTAL frequency and fine tuning. Good as a driver stage before buffer and final amp and bandpass filters for a simple low power TX or Direct Conversion RX. I Want to design an oscillator circuit which will provide an output frequency below 4MHZ, can i use the above circuit?